Home » cricket news » IPL 2018, CSK vs DD: Shreyas Iyer won the toss, can he win the match? IPL 2018, CSK vs DD: Shreyas Iyer won the toss, can he win the match? Shreyas Iyer has won the toss and chose to field first. Shreyas Iyer is today's lucky captain and he's gone for the same playing XI as DD look to make it two wins in a row. MS Dhoni meanwhile reveals there is a plethora of changes afoot the CSK side, and is hoping the bit of extra pace in his attack can produce similar effects to that which MI produced. 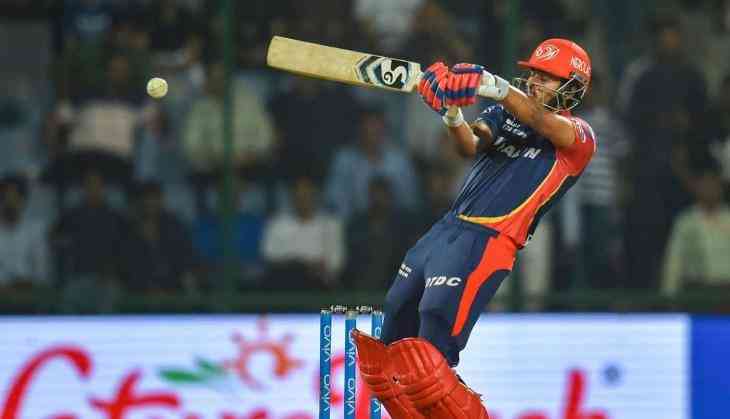 Delhi recently got a new captain in Shreyas Iyer who replaced Gautam Gambhir. There have been a lot of talks about his decision to leave Delhi's captaincy including the kind of performance Delhi has put up so far. Gautam Gambhir has famously returned all his IPL earnings to the Franchise and also accepted full responsibility for team's dismal performance. Delhi Daredevils must be confident after the win and would like to better their IPL performance this season. CSK by far looks the dominant side against Delhi Daredevils in the Indian Premier League. CSK has registered 11 wins whereas Delhi has won 5 of the matches played between the two. Chennai Super Kings: S Watson, A Rayudu, S Raina, MS Dhoni* (wk), F du Plessis, DJ Bravo, R Jadeja, K Sharma, H Singh, KM Asif, L Ngidi. Delhi Daredevils: P Shaw, C Munro, S Iyer*, R Pant (wk), G Maxwell, V Shankar, R Tewatia, L Plunkett, A Mishra, A Khan, T Boult.